If you’ve ever walked barefoot on a black asphalt street on a very hot, sunny day you are experiencing Passive Solar power in action. You might be fine on the brighter colored concrete sidewalk, but the black asphalt absorbs heat much better and can get uncomfortable to walk on barefoot. This is a very rudimentary demonstration of the sun’s power. Another example is when you use a magnifying glass to concentrate light to start a campfire. Here the surface area of the magnifying glass is all concentrated into a single point that can get quite hot. So how do we use this kind of solar power to make power that we can use? Well the present technique is Conctrated Solar Power. With this a large fields of parabolic or other curved mirrors are set up to track the sun and conctrate as much of the light as possible. The light is concntrated at some central point where a thermochemical reaction or heat engine is placed to convert the solar energy into electrcity. With this kit students will heat water using a passive solar heating system as well as as construct a miniature solar oven where they can cook and egg! The Sun Spot is a much larger version of the solar oven you build in the Solar Science kit. Large reflective panels concentrate light at a wired point. Objects can be placed there (such as a hot dog). Temperatures at that point can easilt reach 350 degrees F.
Active solar energy generation is probably more familiar to most of us, especially as solar panels become more ubiquitous. We use them to charge our smartphones, they power garbage compactors right outside our store. 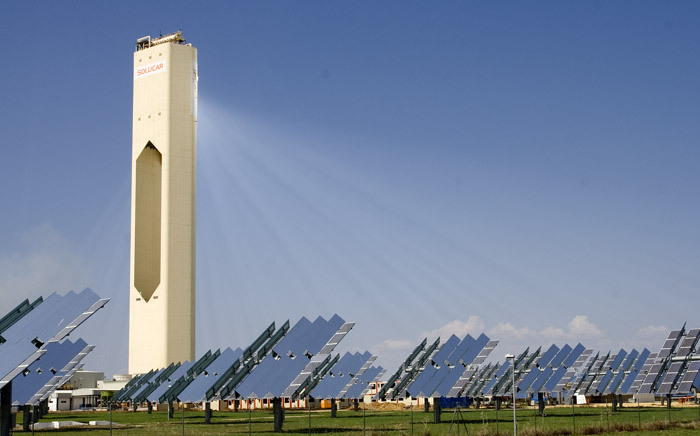 Active solar power uses photvoltaic cells to convert sunlight into electricity. While this does have the advantage of direct electricity generation (no thermochenical or heat engines are needed at a focal point) they do have a problem with efficiency. 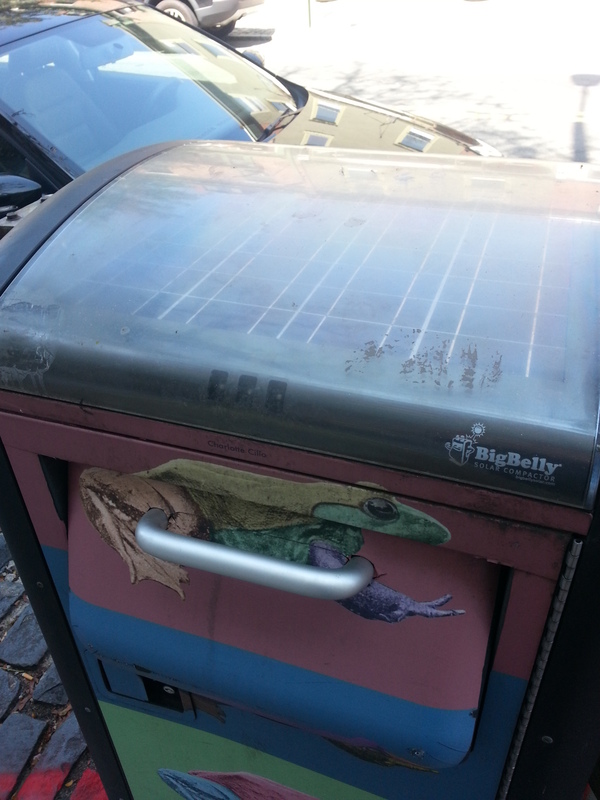 The solar cells you can see on this trash compactor will each generate about 0.5V and 2W in direct sunlight, with 18 cells in total, you have about 9V and 36W. Presumably the power generated goes to a battery that can operate the compactor motor when it has sufficient power. As for active solar items we have, where do we begin? Want to buy Solar Science Toys?